It seems everywhere we turn we hear more about social video. Not just branded video that marketers release on YouTube and promote the heck out of. But social video powered by social games — you know, those things we’re all really doing when we’re on social networks — Car Town, Deal or No Deal, Happy Pets and the like. Online video platform TubeMogul is eager for a bit of the social video action. 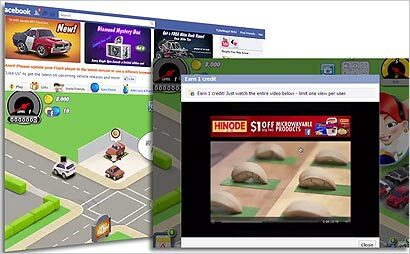 The company has introduced a real-time buying system for social video that lets marketers serve up ads in games being played on Facebook. This is a smart move for TubeMogul because it ties in the company’s existing expertise in real-time buying with social video, which is super popular right now. TubeMogul said advertisers can use demographic or behavioral data to target the spots, drawing from their own data, third party data such as that from a BlueKai, or retargeting tools from a brand’s site or a Facebook page. TubeMogul is working with tech firm TrialPay, which handles the transactional component. In testing for ads longer than 90 seconds, about 2.2% of viewers shared the ads with their Facebook friends, a higher rate than the 0.6% of sharing resulting from a 30-second ad, suggesting longer-form might be the best creative type for this medium, TubeMogul said. TubeMogul also said these type of ads can drive sign-ups for brands, as well as lift metrics such as “message association,” citing data from its pre-launch research. “While it is not traditional video advertising -- pre-roll is increasingly selling out at higher and higher prices -- initial data from 4,000 random viewers sees in-message association rise by 7.6% and 2.1% in purchase intent,” Burch said.